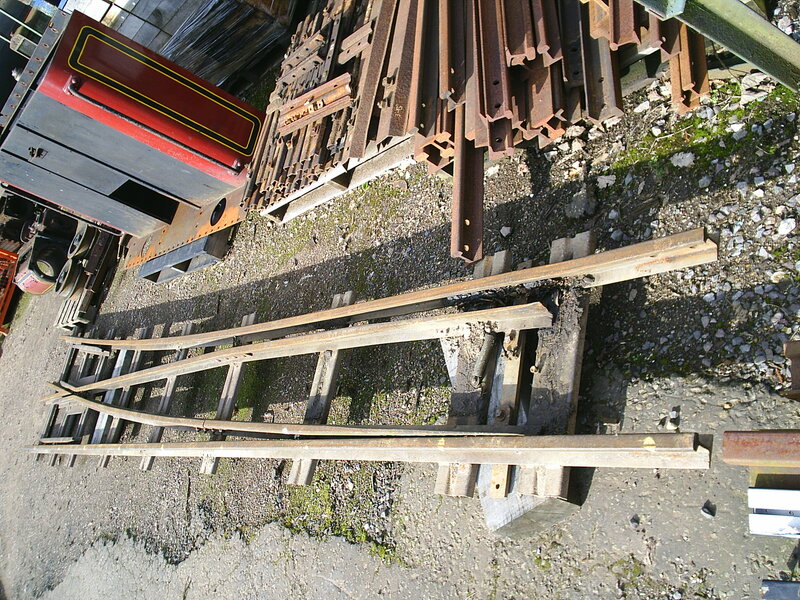 This page has been set up for people with narrow gauge equipment (15" gauge or over) to sell. Mail us (with a photo) with any items you wish to put up here. 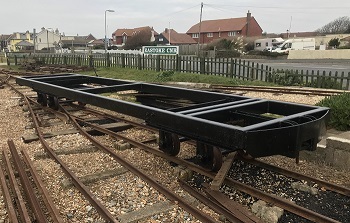 Locos, rolling stock, rail, points, are all welcome, as well as miscellaneous items such as sleepers, fishplates, rail clips, nuts and bolts, wheelsets, axleboxes. As long as the volume of adverts continues to be at a manageable level there will be no charge for this service. Use the 'Contact us' link on the menu bar above. 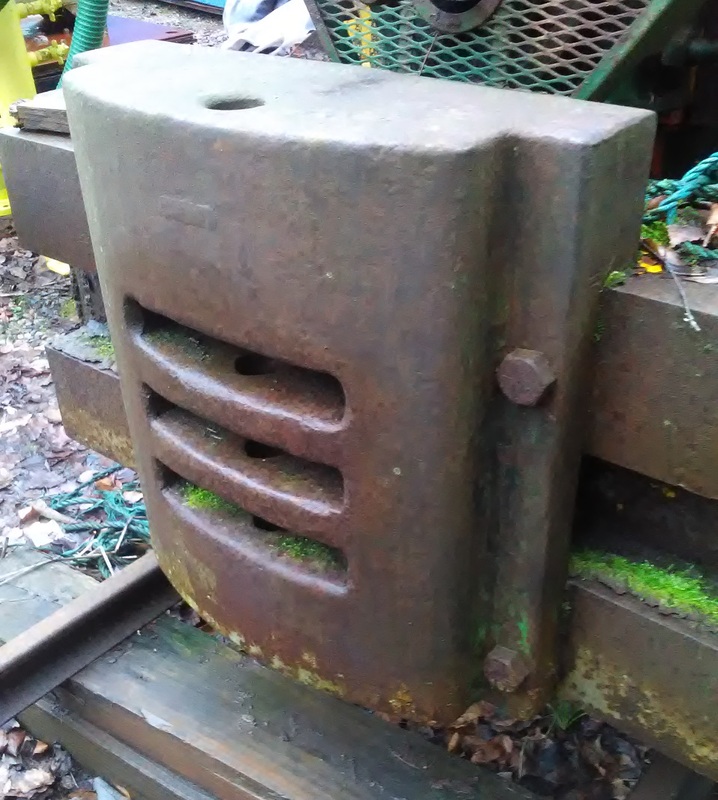 FOR SALE; 2ft Gauge 20/28hp Motor Rail. FOR SALE; 2FT GAUGE BAGNALL 4-4-0T Steam Loco. FOR SALE; 2ft Gauge CP Huntingdon Replica locomotive. 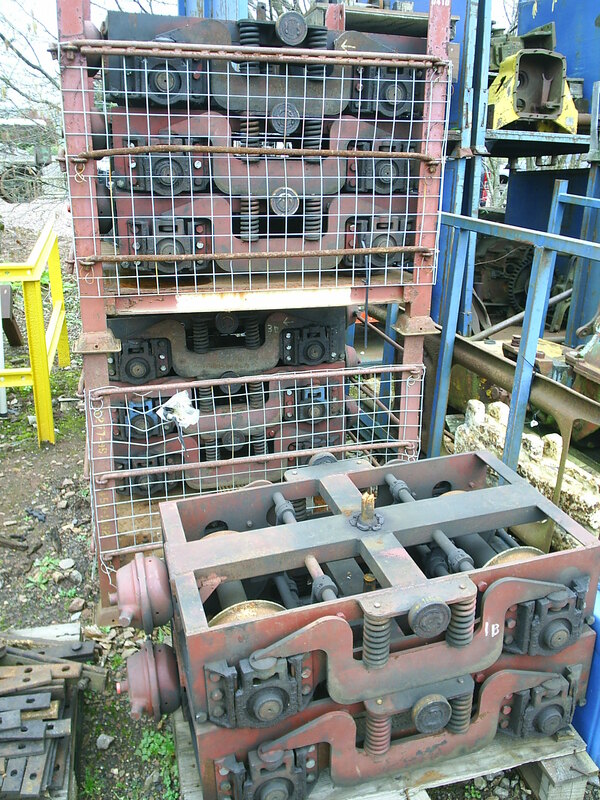 FOR SALE; 900mm gauge 4wDH Hunslet 150hp Rack & Adhesion mining type locomotive. 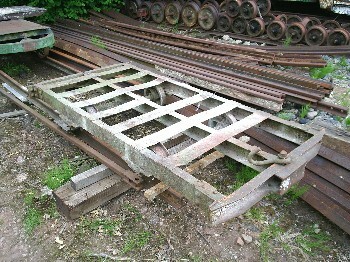 FOR SALE; 2ft gauge locomotive frame. FOR SALE: 600mm gauge 4wDM Henschel DG26. FOR SALE: Unique 600mm gauge Railcar. 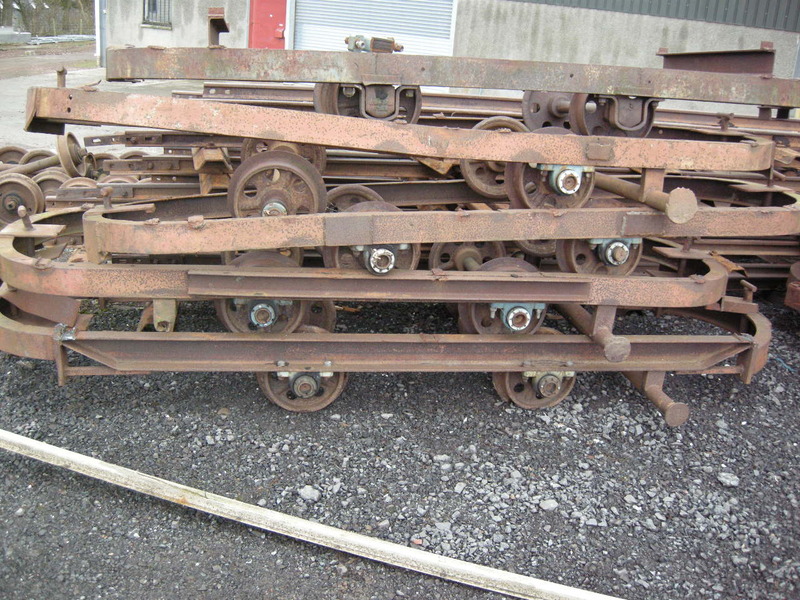 FOR SALE: 12糹ns Carriage bogies. 8 off, 10 糹ns carriage bogies can be re-gauged to 12 糹ns all are fitted with air brake chambers and there are 4, 10 Ltr air reservoirs and brake operating valves included (one for each pair of bogies). 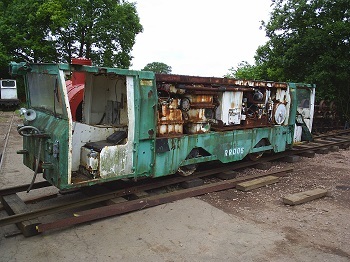 The bogies are in good condition having been over hauled a couple of years prior to being taken out of service. The wheels are 8ins diameter on the tread. Inspection welcome by prior arrangement. The asking price is �0.00 each plus forwarding and VAT. Please contact Bryan via the link opposite for more information and or to arrange a visit. FOR SALE: 3 Hudson 2ft gauge U skips. 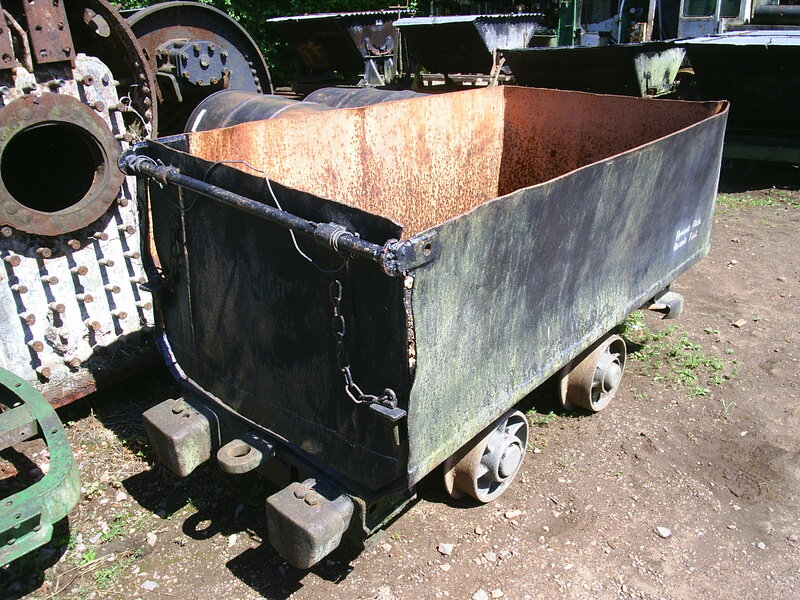 Colin has available three Hudson two-foot gauge underground tipper wagons. 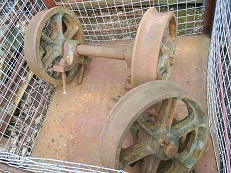 They have independent wheels with tapered roller bearings and were last used in a rope-worked adit. 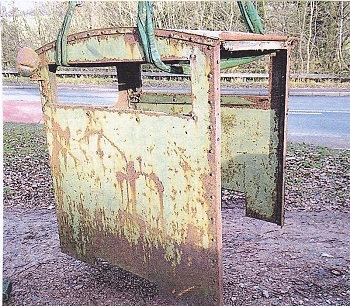 The asking price is �0 per skip and they are currently located near Exeter. Please contact Colin at the email address opposite for more details. (Click on the image for a larger version). 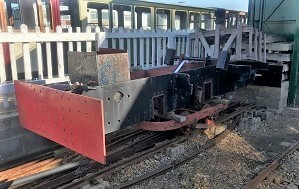 These frames are ex 2 foot gauge Cotswold Wildlife Park, however have been used with 15 inch gauge bogies more recently. 2 immediately available, with potentially a third if of interest. Measuring 5530mm x 1170mm, they are sold as seen. Would rather see them go to somewhere of use, potentially as base of a carriage or flat wagon, otherwise will be scrapped at the end of the year. Viewing welcome by prior arrangement and collection will be from Cleethorpes. Open to offers. please contact Peter at the email address opposite for more details. (Click on the image for a larger version). FOR SALE: Hudson wagon chassis, short, 2ft gauge with steel plate top. 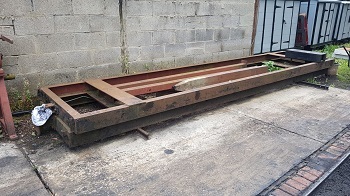 This is a short wagon chassis and was probably a bogie for a Hudson bogie wagon, it is 4ft 10 in long x 3ft wide and the steel plate top is 3ft 2 in x 2ft 5 in. 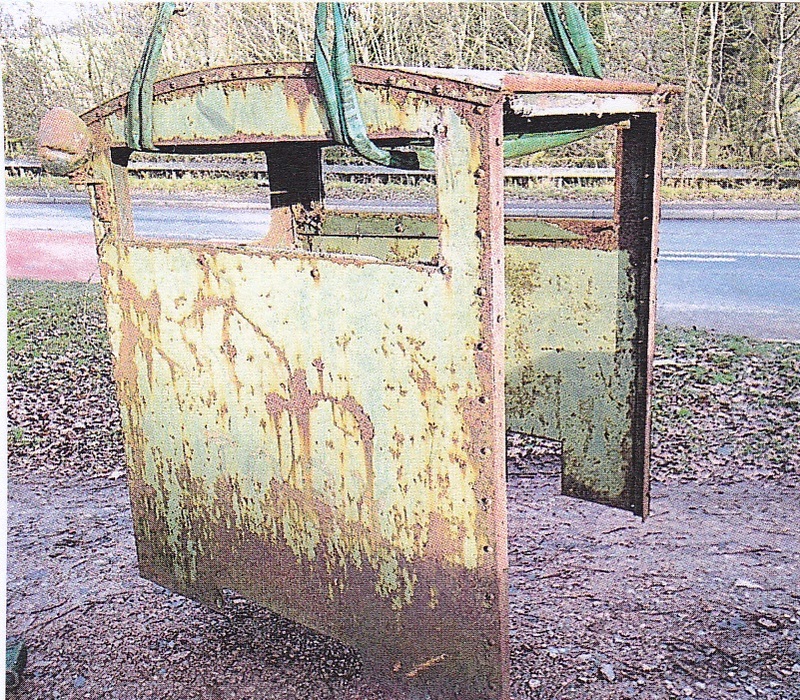 The wheel base is 2ft 8 in and the wheels are nominal 12 in diameter, offered as is and where lying at Alan Keef's assistance with loading can be given. Viewing welcome by prior arrangement please contact Bryan via the link opposite for more information and or to arrange a visit. (Click on the image for a larger version). FOR SALE: Kiln wagon, 2ft gauge with steel plate top. 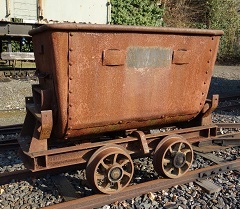 This Kiln wagon is of solid construction due to the nature of its use, the steel plate top is wider than the wagon is long, dimensions, 3ft 4 in long x 5ft 9 in wide. It is on Allens of Tipton 14in diameter (nominal) wheels and axle boxes and the top is 1ft 7 in above rail head. Offered as is and where lying at Alan Keef's assistance with loading can be given. Viewing welcome by prior arrangement please contact Bryan via the link opposite for more information and or to arrange a visit. (Click on the image for a larger version). This Kiln wagon is quite low, 9 � inch above rail head due to it being on 8 in (nominal) diameter wheels. It has a steel channel chassis and the steel lattice frame affix to the chassis, there is an old wooden central buffer block at one end and a steel one at the other, size, 6ft 7 in long x 3ft 4 � in wide and the wheels have quite thin flanges. Offered as is and where lying at Alan Keef's assistance with loading can be given. Viewing welcome by prior arrangement please contact Bryan via the link opposite for more information and or to arrange a visit. (Click on the image for a larger version). 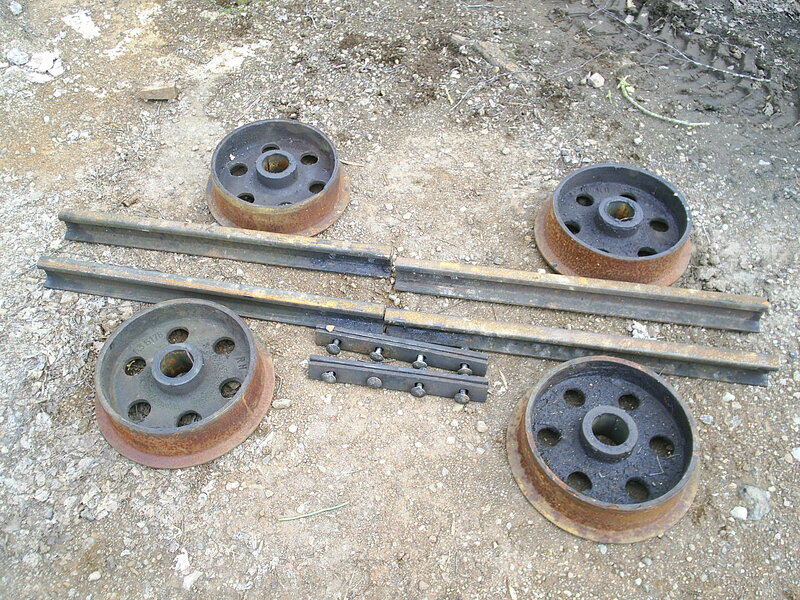 FOR SALE: Four 10 1/4" gauge railway carriages (can be re-gauged to 12 1/4"). These were formerly used at Beale Park in Berkshire. The carriages are of steel chassis, uprights, canopy supports, and panelling, with curved aluminium roofs (ridge-peak, canvas over the disabled half). 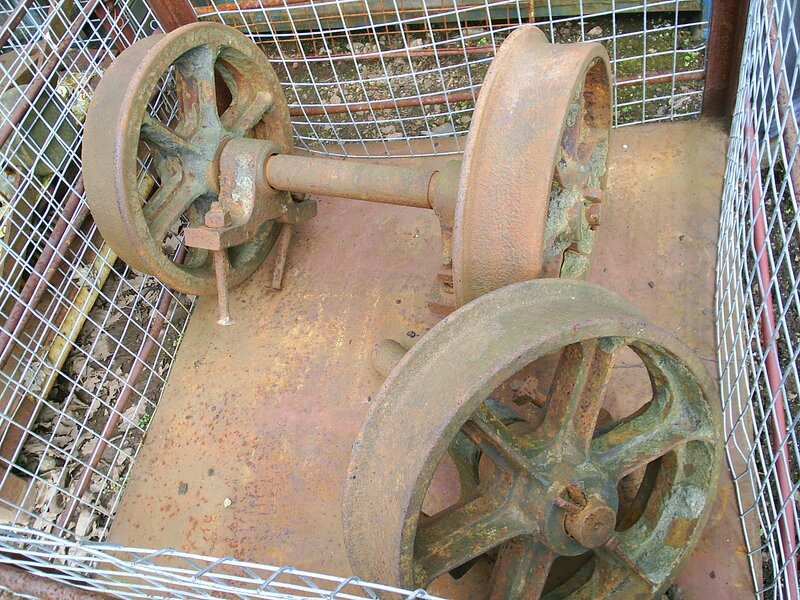 The bogies and wheel sets are in good condition and repair work has been carried out in recent years. Both bogies on each carriage are air braked and the carriages are piped for a Twin Line system. 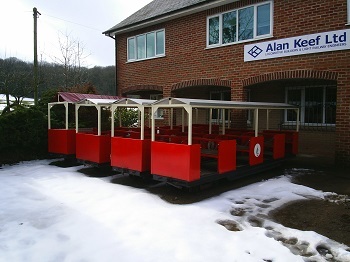 The seating is basic however they will seat 16 and one of the carriages is split, half seating (8) and the other half is arranged to take a wheel chair bound passenger via a folding ramp, plus 4 seated. Offered as is in Alan Keef's works. Assistance with loading can be given. 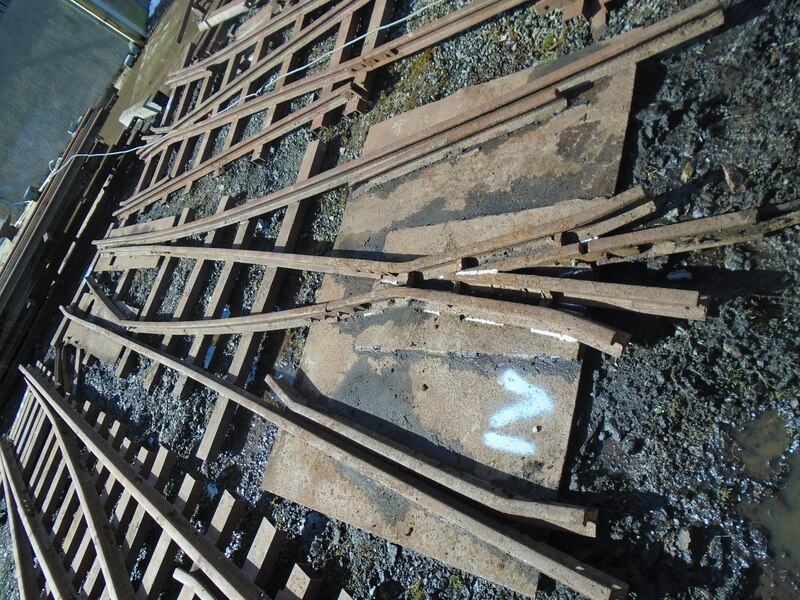 Please note, these carriages are only available until the end of April 2018 after that date they will be dismantled and probably scraped. Viewing welcome by prior arrangement please contact Bryan via the link opposite for more information and or to arrange a visit. (Click on the image for a larger version). 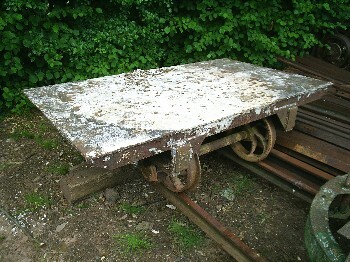 FOR SALE: ex-Llechwedd Slate Slab Wagon, nominal 2ft gauge. 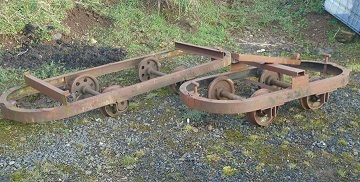 Ex Slate industry wagon, with double flanged wheels running loose on the axles to allow for the erratic/variable gauge of the slate quarry railways. 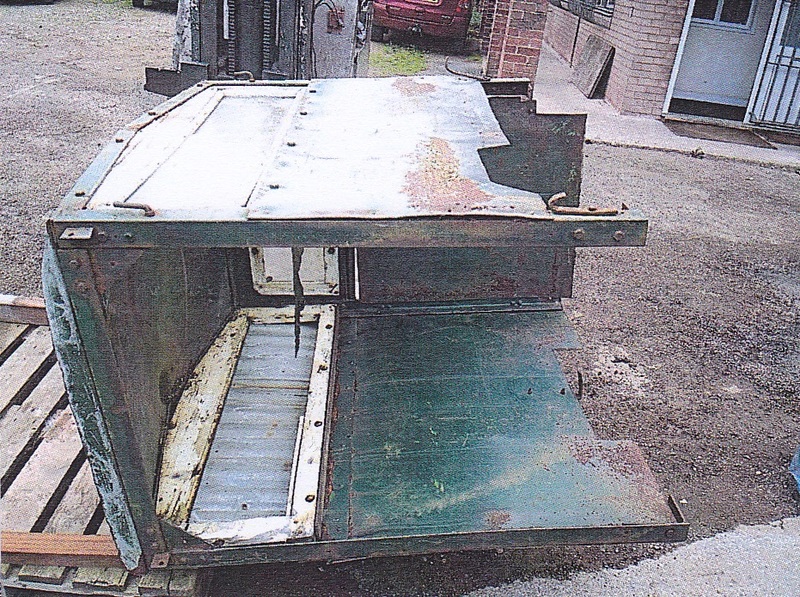 The wooden chassis whilst complete is obviously an old wagon in need of restoration or conservation. Offered as is and where lying at Alan Keef's. Assistance with loading can be given. Viewing welcome by prior arrangement please contact Bryan via the link opposite for more information and or to arrange a visit (Click on the image for a larger version). 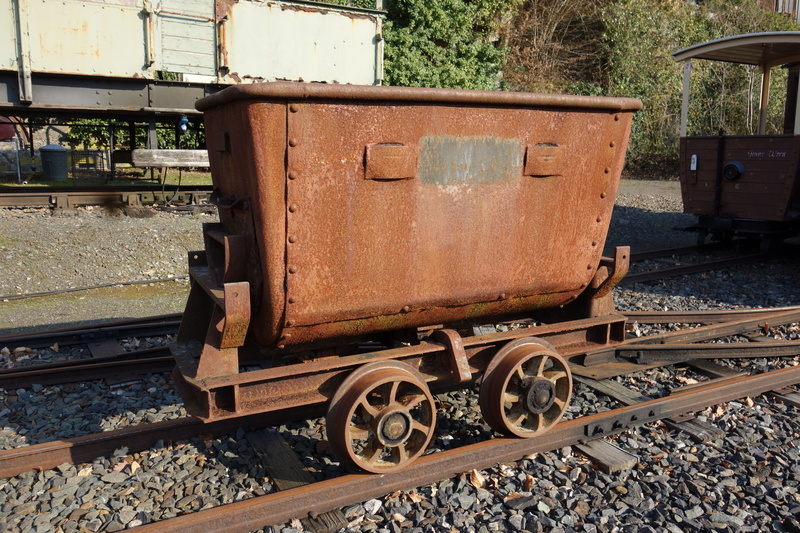 FOR SALE: 2ft gauge Coal Tub believed ex Dynant Fach Colliery. A steel coal wagon with end opening door for tipping. It is believed to have worked at the Dynant Fach Colliery in South Wales. Offered as is and where lying at Alan Keef's, assistance with loading can be given. Viewing welcome by prior arrangement please contact Bryan via the link opposite for more information and or to arrange a visit (Click on the image for a larger version). FOR SALE: 2ft Gauge bogie vehicle underframe. 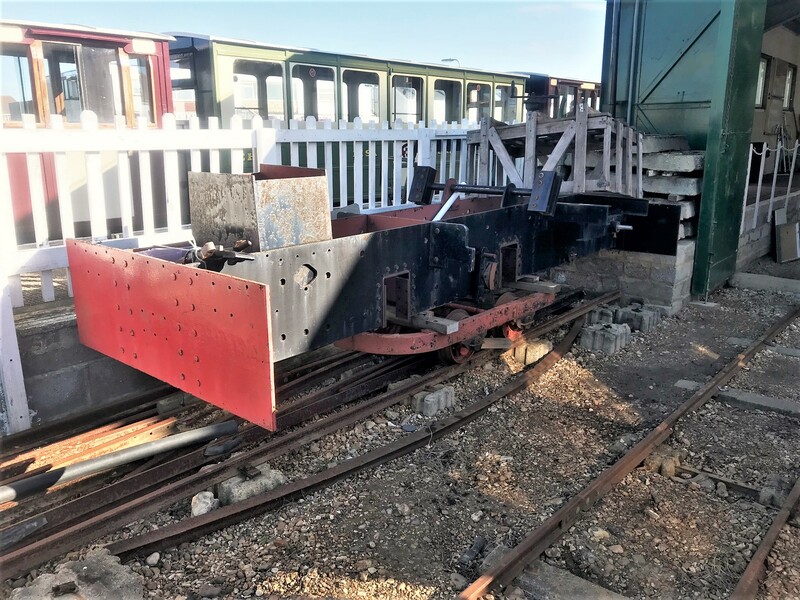 the Hayling Seaside railway are selling a 2ft gauge bogie underframe. It is 23ft long and 5ft wide. They are open to offers on this vehicle. (Click on the image for a larger version). FOR SALE: Two 2ft Gauge skip chassis, different sizes. 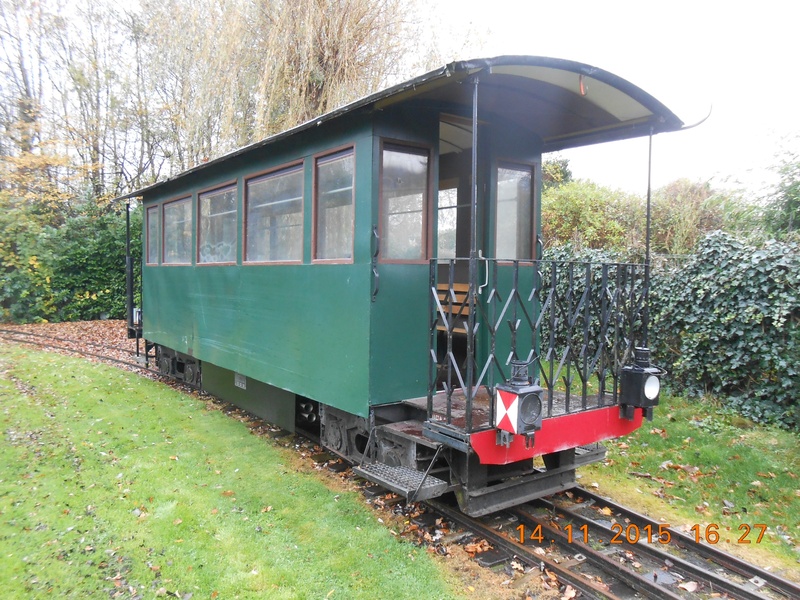 Jim has a Hudson 2ft gauge bolster wagon with axle bearings, plus a Hudson long framed bogie. They are both in good condition. They are currently located near Lanark, north of Carlisle (Click on the image for a larger version). Approximately five tons of rail for sale, mostly 20lb but a few lengths are 25lb. There are also two sets of 20lb points. 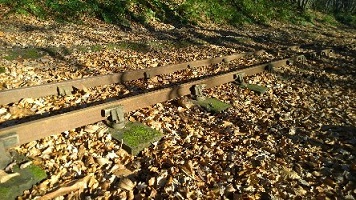 Most are laid on wooden (half BR) sleepers, interspersed with some steel sleepers. 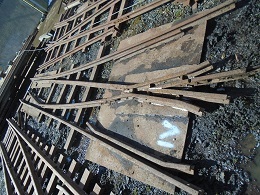 Some of the track has been lifted and stacked as loose rail, whilst that in the photo is still laid. 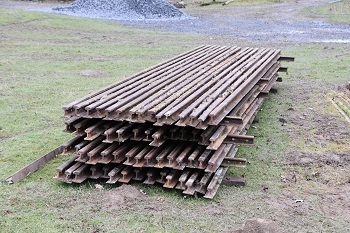 Many of the timber sleepers should be in a reusable condition. 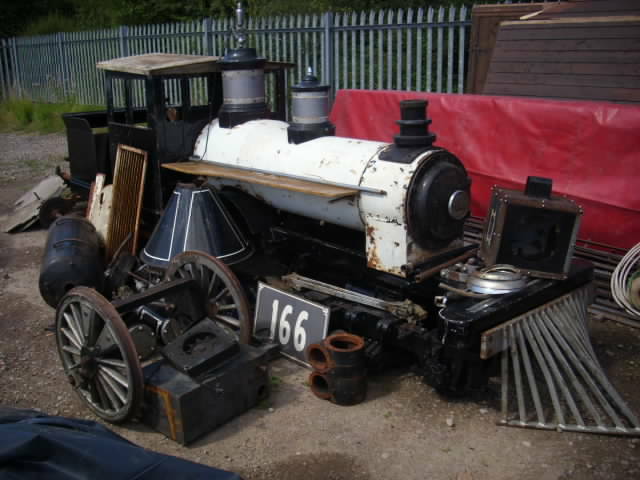 The asking price is �800 and the items are located in Derbyshire. Please contact John at the email address opposite for more details. (Click on the image for a larger version). 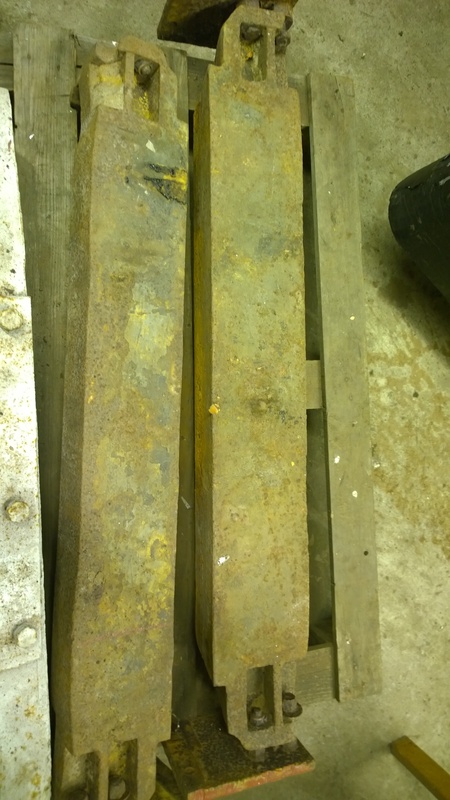 We have 60 to 65 15ft lengths of 35lb rail for sale with fishplates. We are looking for �500 for the lot. It is located near Welshpool. Please contact Mike at the email address opposite for more details. (Click on the image for a larger version). 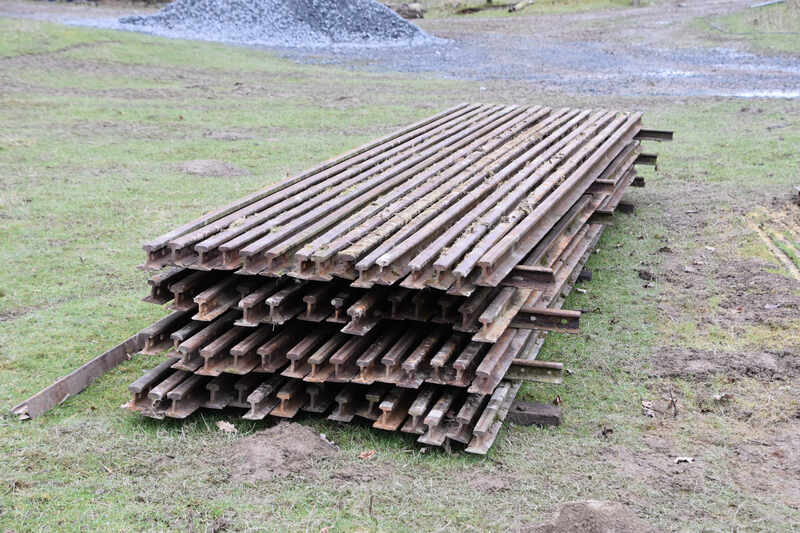 We have approximately 20 tonnes 35bsm rail in 2ft gauge track panels between 12 and 20ft long. 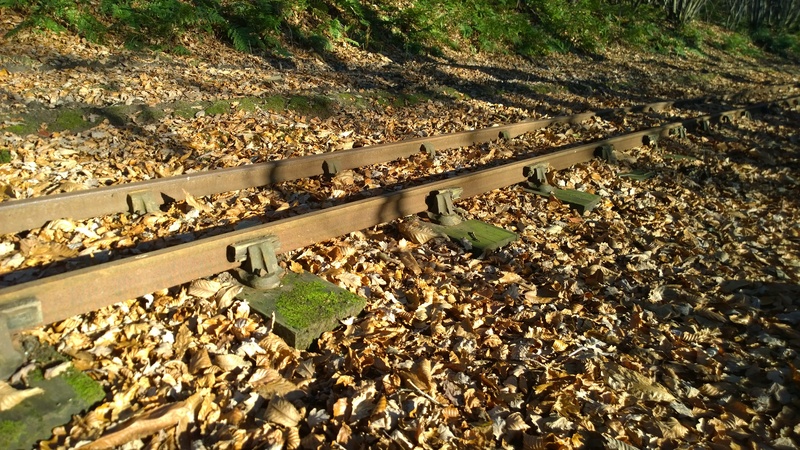 They are pandrol clipped to 4x2inch channel sleepers. Rail is as new unworn condition. 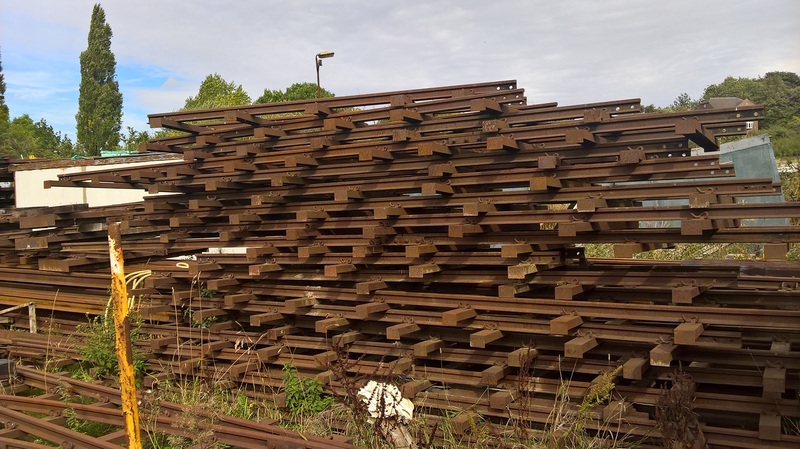 The price per metre for a each rail is �87. The sleepers are �50 each. There are also loose rails in 12ft lengths as well. It is situated in Rotherham. There is a public weigh bridge available locally. Please contact John at the email address opposite for more details. (Click on the image for a larger version). 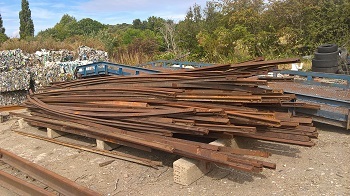 Approximately 18 tonnes of 20BS rail available for sale. Lengths are between 18ft - 23ft long. The rail height is 63mm, base width 64/65mm head, and width 35mm. There is some side wear. The rail is a mix of curved and straight. The fish plates have been cut through with an angle grinder. 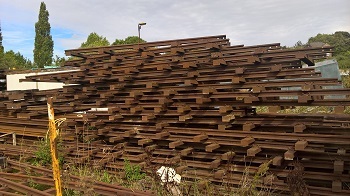 The price is �5.00 per tonne and it is situated in Rotherham. There is a public weigh bridge available locally. Please contact John at the email address opposite for more details. (Click on the image for a larger version). A righthand Turnout, 15 inch gauge in 20lb rail. 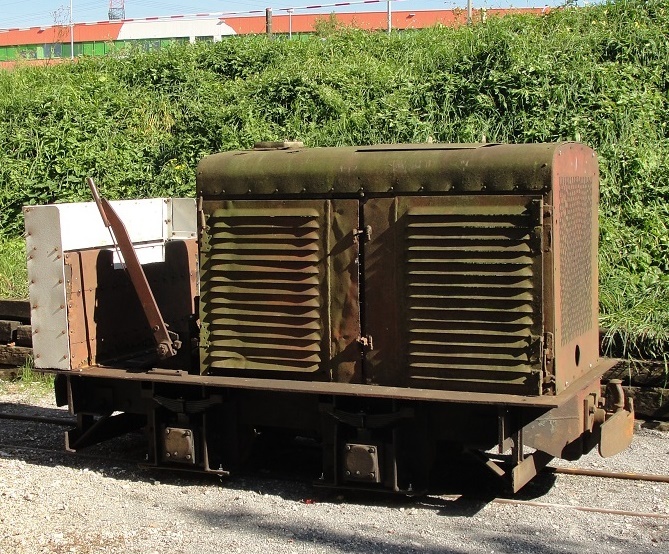 It is welded to corrugated steel sleepers with kick over blades currently arranged with a coil spring holding the blades to the left side. One of the blade rails has a bit of rolling on the top edge of the blade. The point and the frog shows signs of being fettled potentially to aid tight rolling stock flanges going through it. Otherwise in good condition and if more photos are required please just e-mail. Offered as is and where lying at Alan Keef's assistance with loading can be given. Viewing welcome by prior arrangement please contact Bryan via the link opposite for more information and or to arrange a visit. (Click on the image for a larger version). Hollycombe Steam Museum is selling up to 20 lengths of bullhead rail. 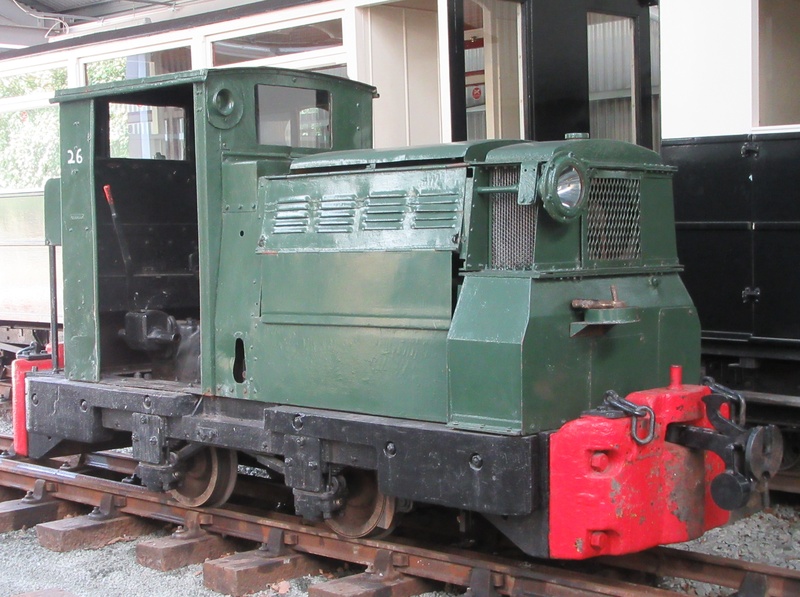 They were originally in use at Dinorwic Quarry and are 25 ft long. 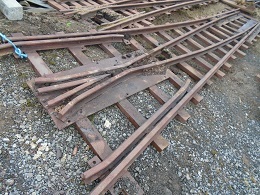 The sale includes chairs and fittings to fix to wooden sleepers. So 2 x 25ft rails plus 24 chairs are priced at �0 per set. There may be reductions if more than one set is purchased. They are currently situated in Hampshire and more details can be obtained from Rob on the email address opposite. 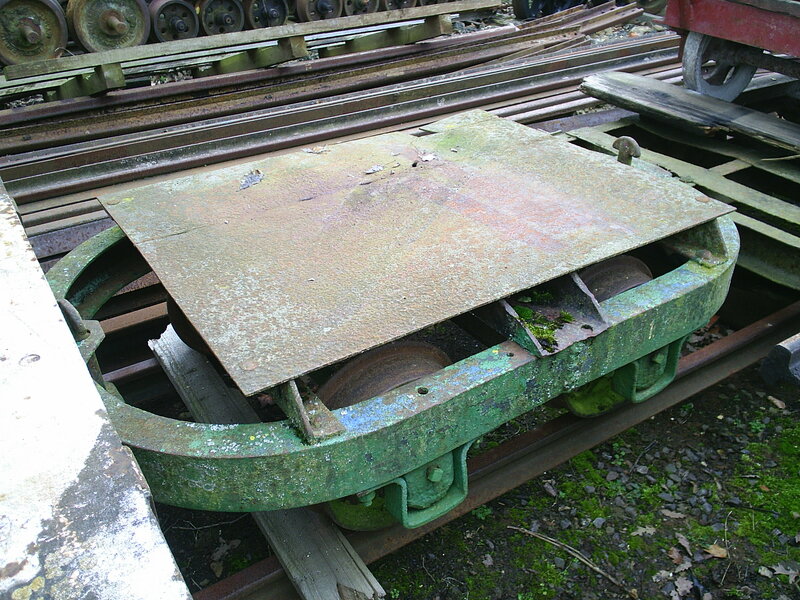 Hollycombe Steam Museum are selling 2 welded plate turntables including bearing, but no base. The asking price is �0 each. They are currently situated in Hampshire and more details can be obtained from Rob on the email address opposite. 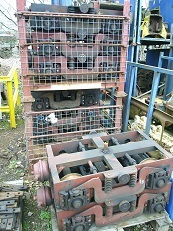 FOR SALE OR SWAP: 2 off Motor Rail/Simplex drawheads coupling blocks. 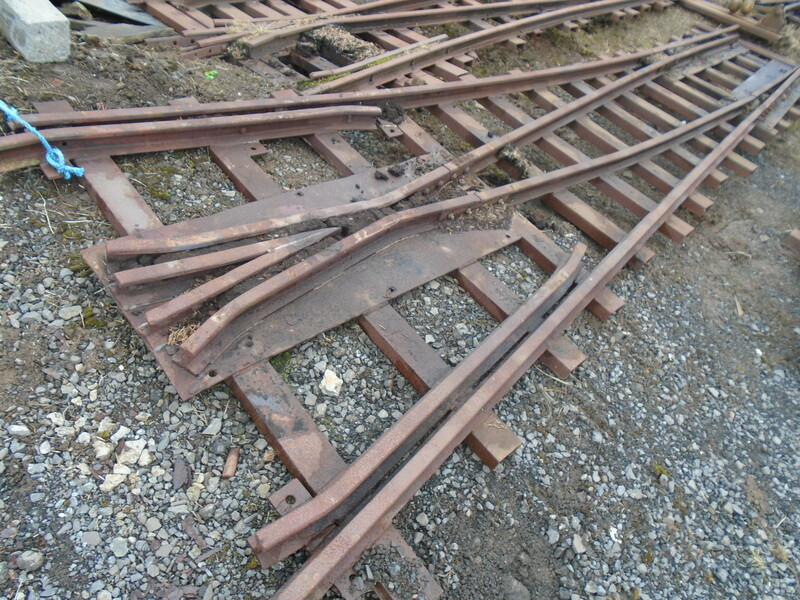 These are used and came from an ex BnM Ruston loco. 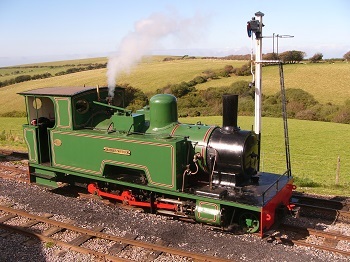 They appear to be the same size as a MR - SMX w26742 which is a 50-60hp 60S drawhead. Asking price is �0.00 for the pair or he would swap them for a pair of Ruston LA or LB drawheads/coupling blocks. Please contact Bryan via the link opposite for more information and or to arrange a visit. FOR SALE: 3 Pairs of Heywood style couplings. 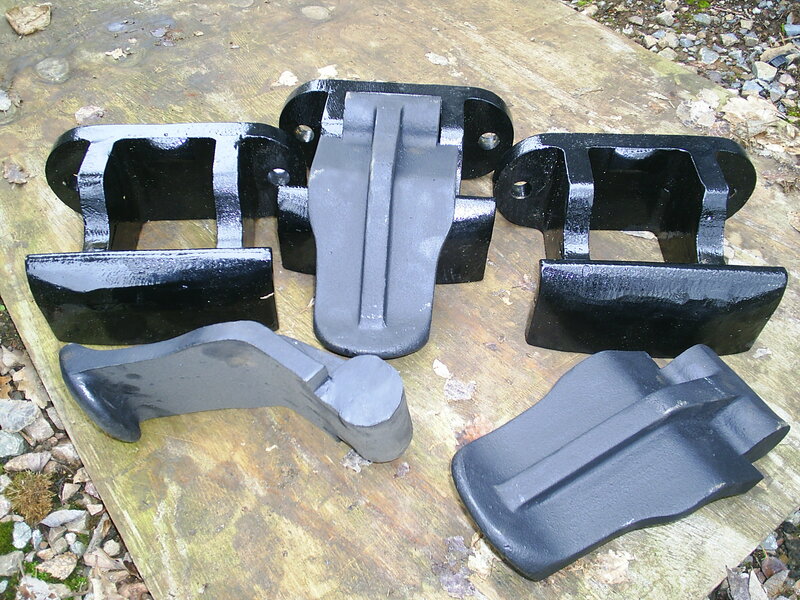 3 off, Heywood style couplings, consisting of, cast coupling with mounting holes drilled but not the latch hole, cast latch but without the mounting bar hole drilled through it. The latch mounting bar holes and bar can be supplied at extra cost. These are from a cancelled order. The price is �5.00 each plus forwarding and VAT. Please contact Bryan via the link opposite for more information and or to arrange a visit. 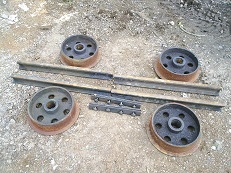 FOR SALE: Wagon wheel discs, rail and fish plates. 4 off, wagon wheel discs. The castings are nominal 12ins diameter on tread with an overall width of 4ins. 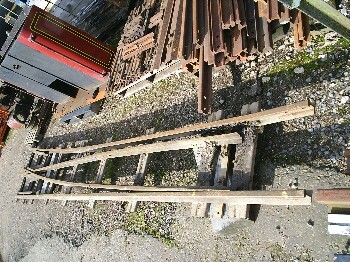 Plus 4 off, 2ft 6ins long 20lb yard rails and a two pairs of fish plates including bolts and nuts, all in used condition. 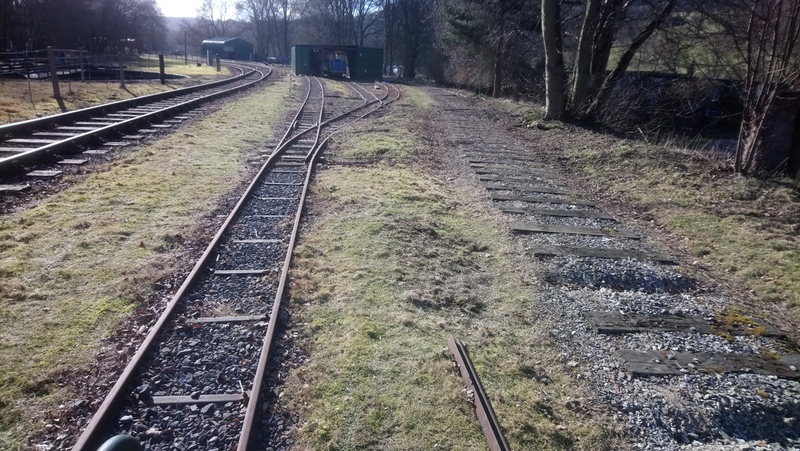 Ideal starting point for a home made wagon, a coal tub in the garden? Asking price is �0.00 plus forwarding and VAT. Please contact Bryan via the link opposite for more information and or to arrange a visit. 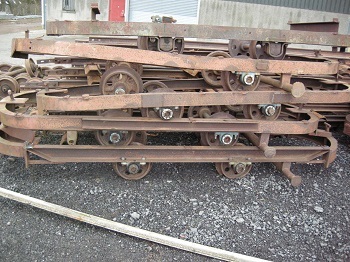 FOR SALE: 23 inch gauge wagon wheelset. 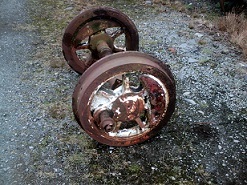 FOR SALE: RNAD 2' 6" gauge wagon ends. 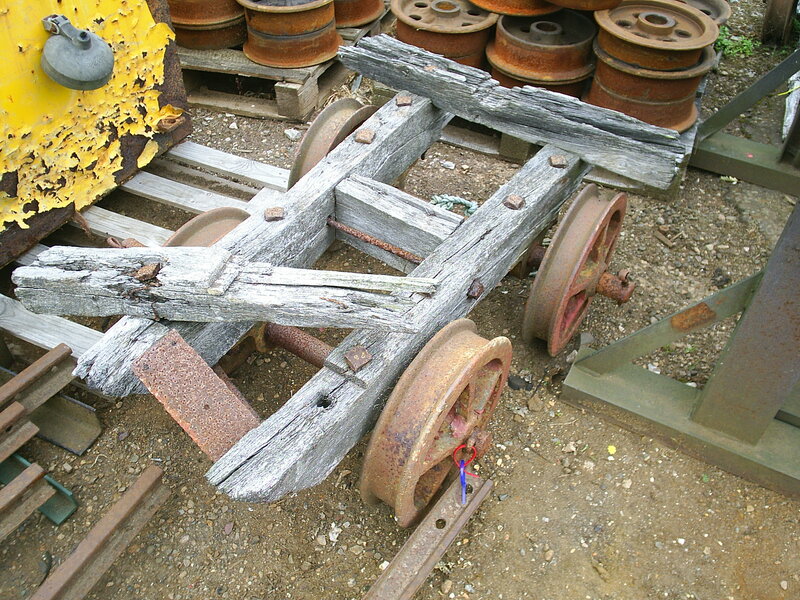 Two Royal Naval Armament Depot 2'6" gauge wagon ends, complete and in good condition except for one timber which has end damage. The stencils are original. � for the pair, or part-exchange (negotiable) for one RNAD suspension coil spring. The wagon ends are in Suffolk, near Halesworth, buyer collects. Please contact James on the email address opposite for more details. 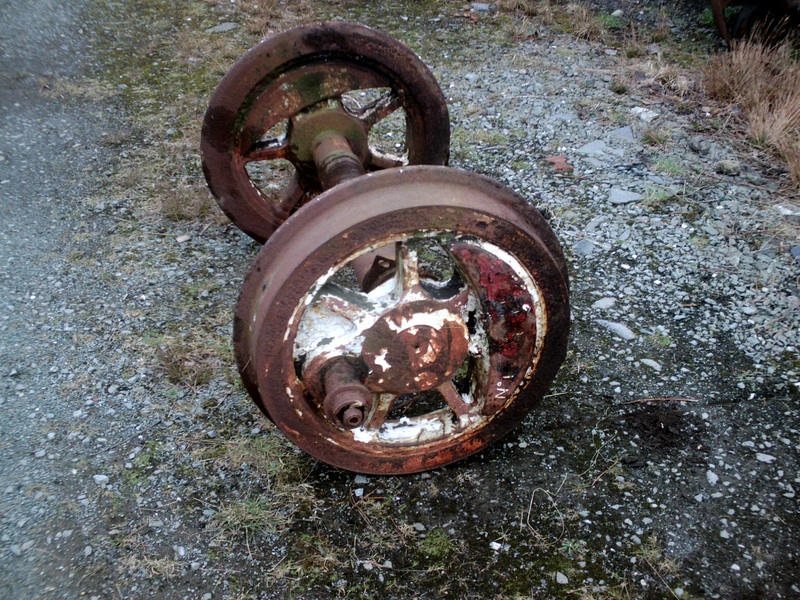 FOR SALE: 3ft gauge Hunslet diesel locomotive wheelsets. Four axles and wheels from 3ft foot gauge Hunslet mines locos are available. 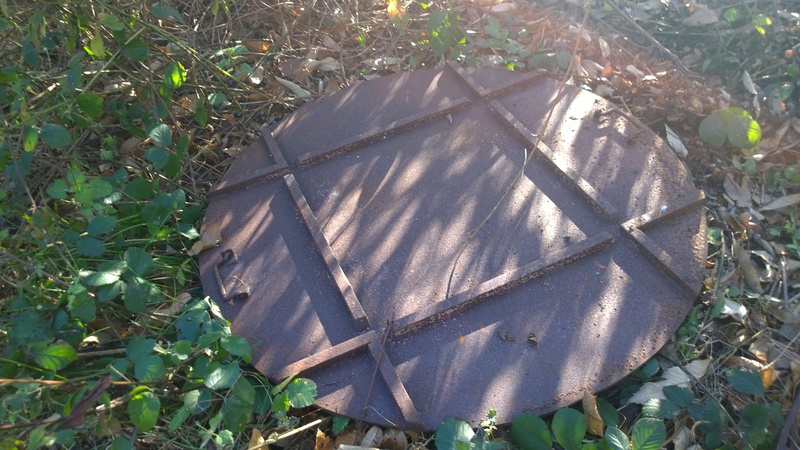 The wheels are approximately 2 feet in diameter. The price is �0 for a set of two axles. They are currently located in North Wales. Please contact Geoff on the email address opposite for more details. 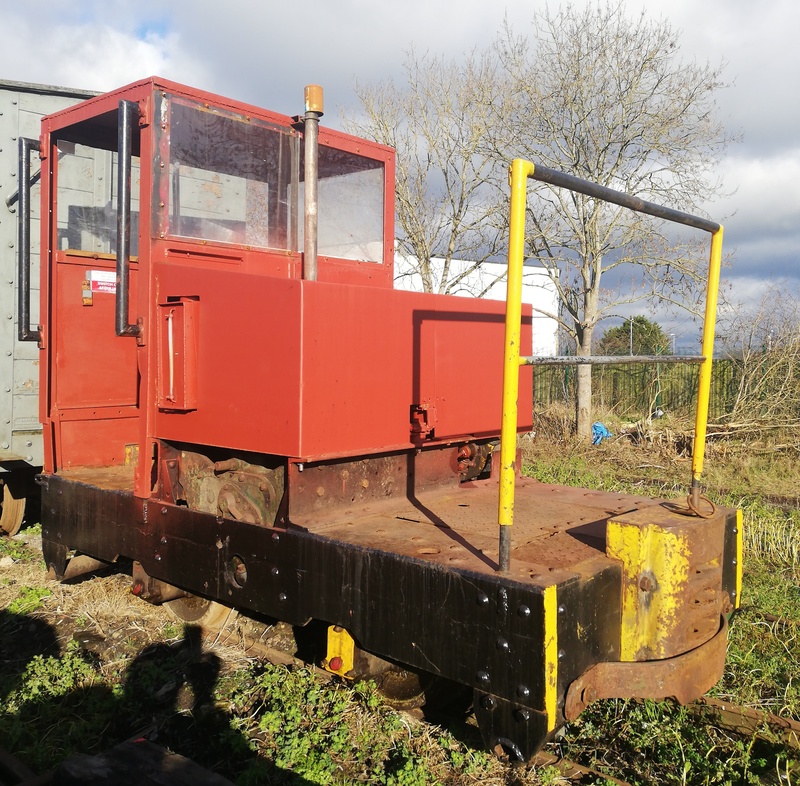 FOR SALE: Motor Rail/Simplex locomotive Cab. 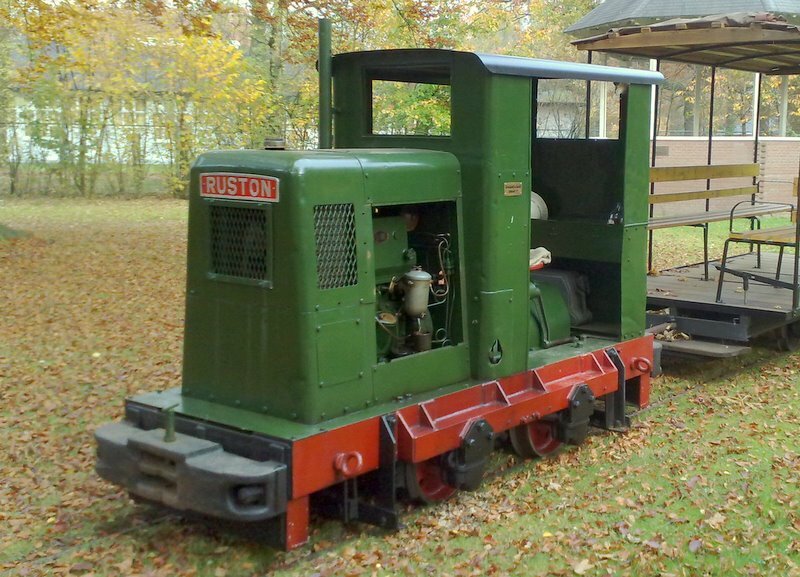 FOR SALE: Ruston & Hornsby 16hp/20hp (20DL) Gearbox arranged for 1' 6" gauge. 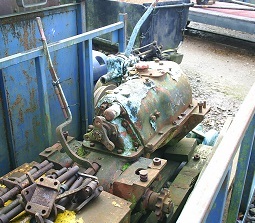 Ruston 3 speed gearbox removed from RH 213839 when re-built a number of years ago. 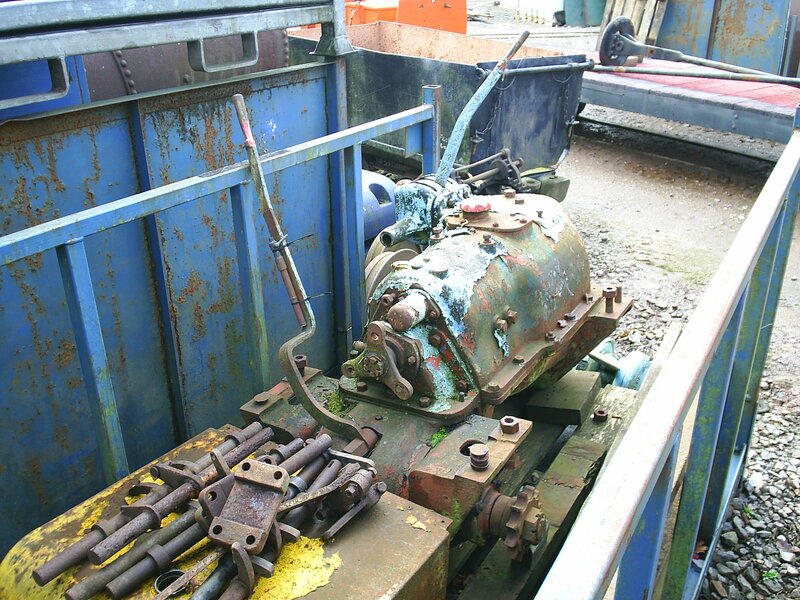 The final drive/output shaft and bearing housings within the mounting brackets are different on this gearbox as this was fitted to a 1' 6" gauge loco and the chains were outside the wheel discs rather than inside as on the 2ft gauge and above locos. Offered as is at Alan Keef's works. Assistance with loading can be given. The asking price is �500.00 plus VAT o.n.o. Viewing welcome by prior arrangement please contact Bryan via the link opposite for more information and or to arrange a visit. Two Bow Frame Simplex weights are available. The asking price is �0 for the pair. They are currently situated in Hampshire and more details can be obtained from Rob on the email address opposite. 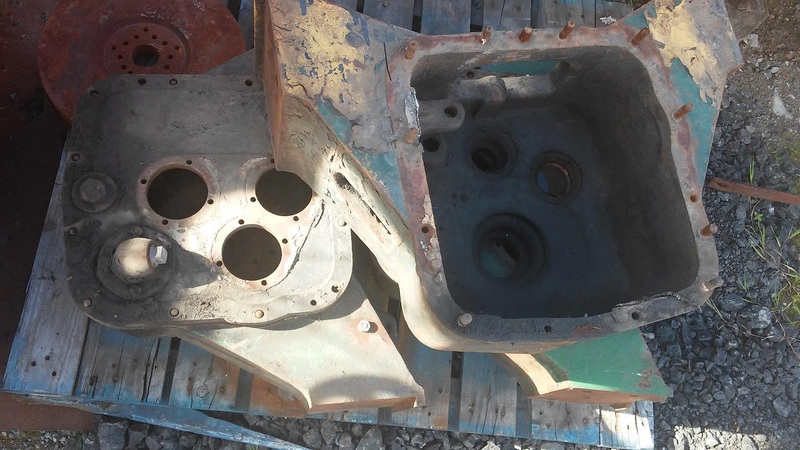 FOR SALE: Simplex gearbox casings. There are 2 Simplex gearbox casings for sale. One for �5, which is in good condition, and a second which has damage to the top lips and a cracked web which is �. Please contact Ian at the address opposite. He can organise a palletline delivery at cost. They are located in Aberfeldy, Perthshire.